leica.overgaard.dk - Thorsten Overgaard's Leica Pages - Leica M9 Digital Rangefinder Camera - "The Leica M9-P digital rangefinder review"
This page is a one-day report from the event in Paris where the Leica M9-P was presented, and is an addition to the worlds (possible) longest camera review that starts on page 1 in the link above. 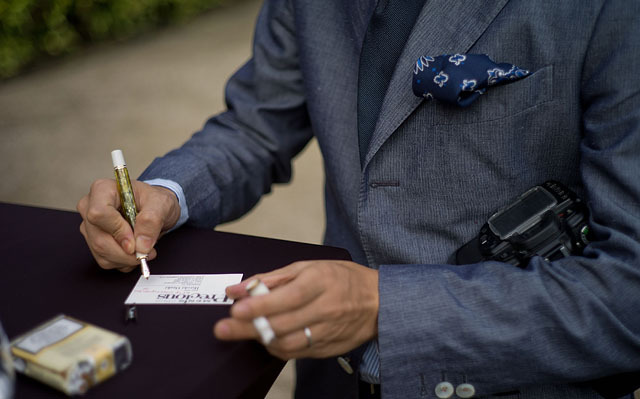 Exitement building up before the event as an Asian television presenter does her thing outside the Hôtel Salomon de Rothschild in Paris. 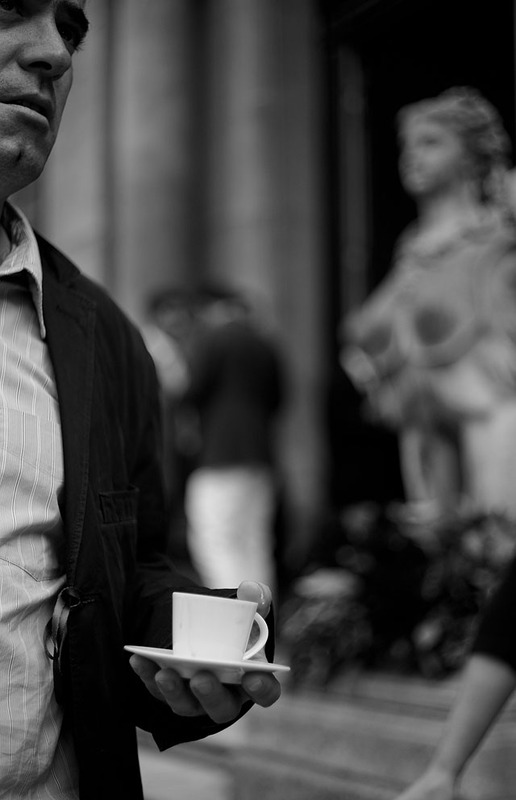 As we end off the Leica Camera and Magnum Photos event in Paris on the evening of June 21, 2011, I wanted to share some reality on this new camera and what I see as a forward line towards even more power of simplicity. 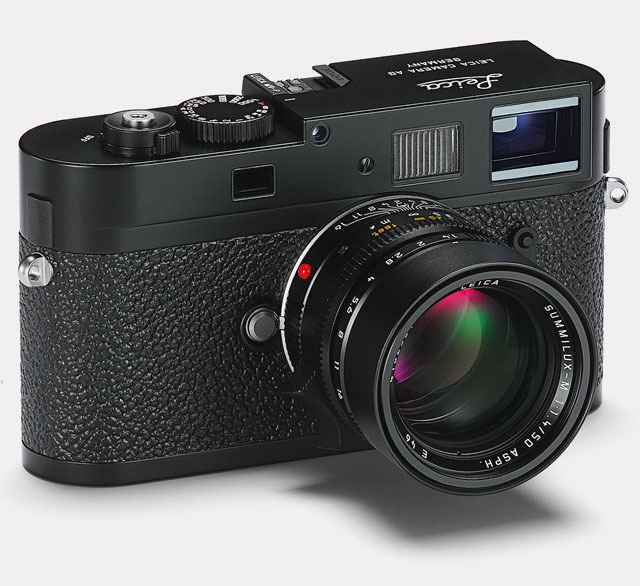 Basically it's a Leica M9 with less. Factually speaking it is a new top without the dot and with a classic Leica MP engraving. And then a sapphire glass screen on the back. Really, not much has changed. 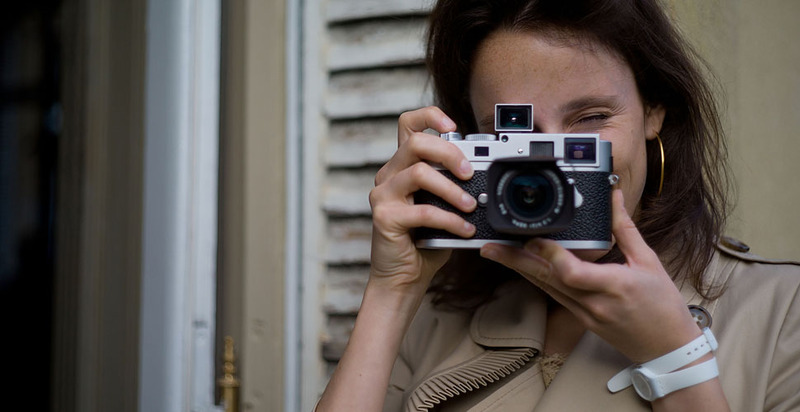 But just enough to give your love for Leica M a twist in the direction of simplicity. 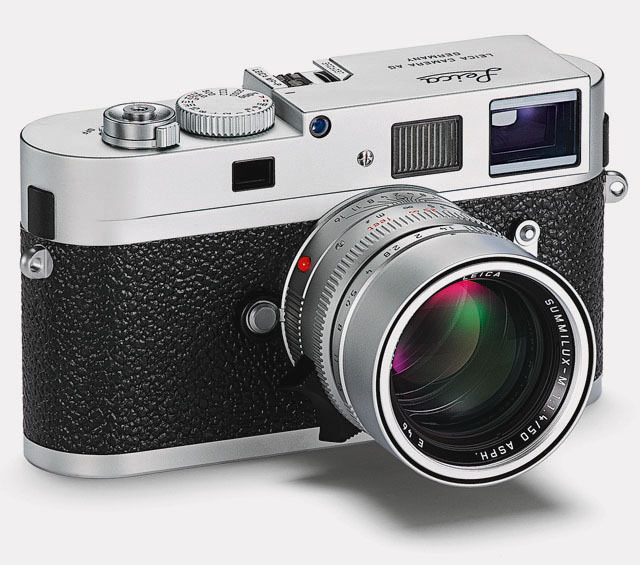 It doesn't make it less loveable that this is the only silver chrome version of the Leica M9, andthat the black version has black hot shoe for the flash. 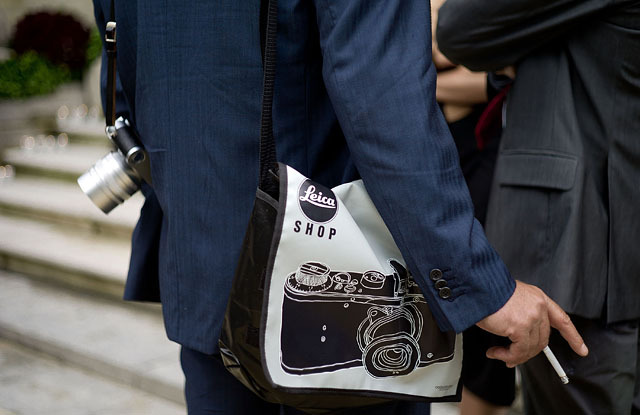 It's not that Leica Camera doesn't have ideas or new technology in the pipeline. They do. 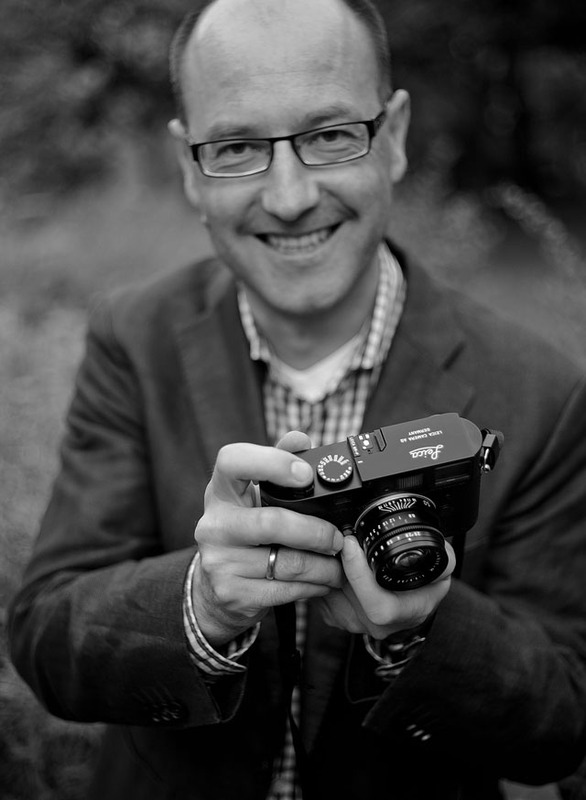 It just fits very well with the cooporation with Magnum Photos to present a camera that is what a professional photographer requires. Less than what already is in a really right camera. And then my perception is that we'll see more basic equipment in the line of the classic Leica 21mm Super-Elmar-M ASPH f/3.4 lens - a lens that is compact for travel and the perfect high quality lens for outdoor photography in say India or Africa where a professional photographer simply does not need the much larger 21mm Summilux-M ASPH f/1.4. 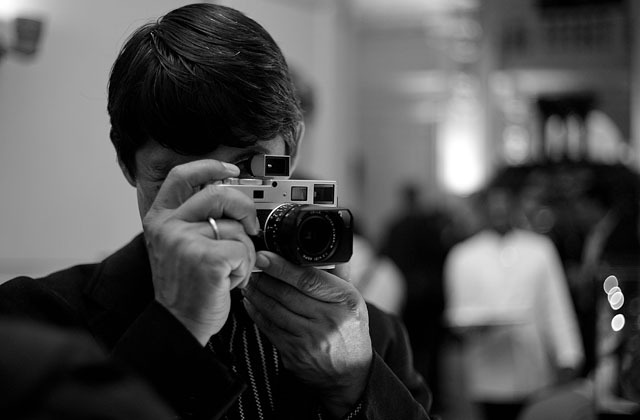 Leica M9-P from leica camera on Vimeo. What I think is that Leica Camera on one side will wants to fulfill the wet dreams some have about live view, electronical viewfinders, some sort of auto focus/focus confirmation, trillion megapixels and frames per second ... and all that jazz - but within the Leica philosophy of simplicity, workability and highest quality. 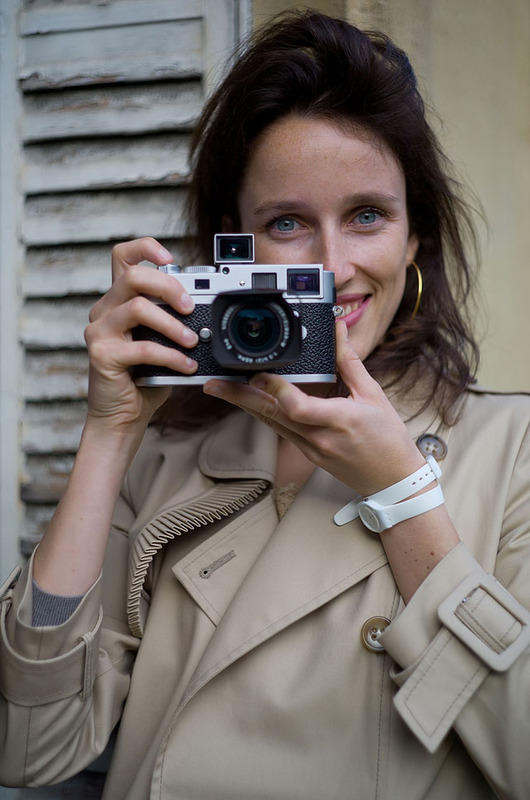 But that is another camera than the Leica M9 which has so many of the qualities no one really want to sacrifice for new features. 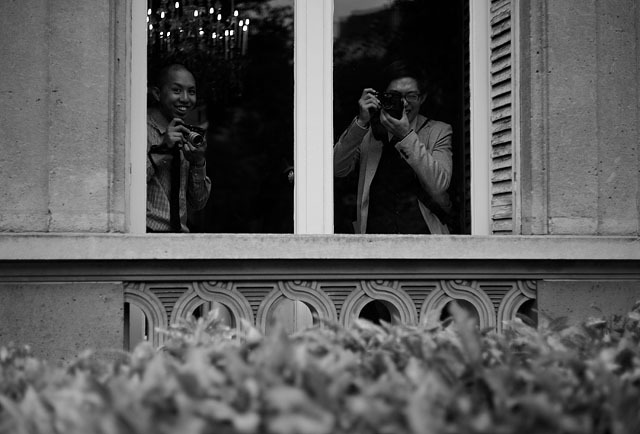 Leica shooters have spotted a fellow Leica shooter, Willian Yan and Eric Kim (the latter known for the most enthusiastic Leica M9 video review ever made). 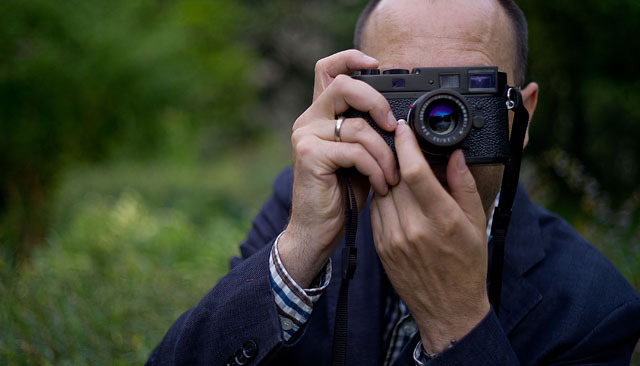 Simply realize that the first Leica was the right camera, and the Leica M9P is simply the slightly modernized version of that camera. 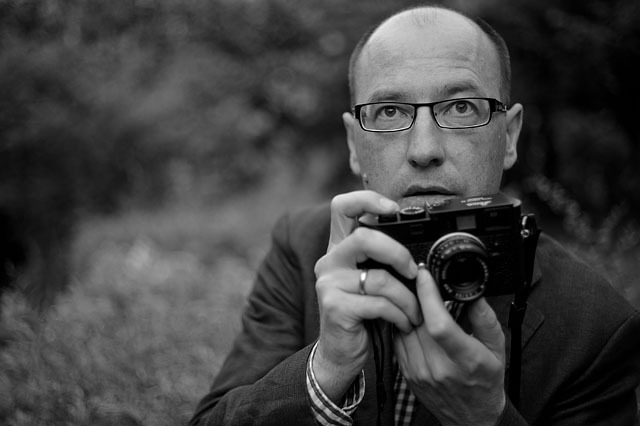 Hence the Leica M9-P that is as basic as it gets, and then perhaps later several specialized models that does simple things better, along with the rocket-science-project Leica M that can shoot underwater video in HDR all by it self and post it to Facebook. And just to show the level of detail from the above image. 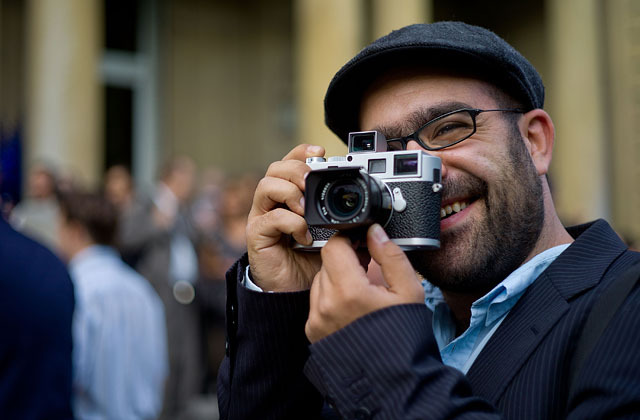 Also have a look at what World Press Photo winner Edmond Terakopian writes about the new Leica M9-P on his blog. 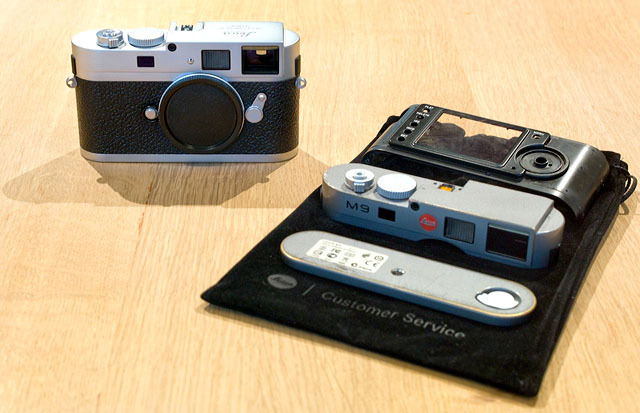 An upgrade for Leica M9 owners is available, making the Leica M9 into a Leica M9-P by replacing the top plate with the engraved Leica M9-P in desired color (Silver or Black), an accompanying bottom plate, and sapphire glass on the screen. The black M9-P also has black flash shoe. 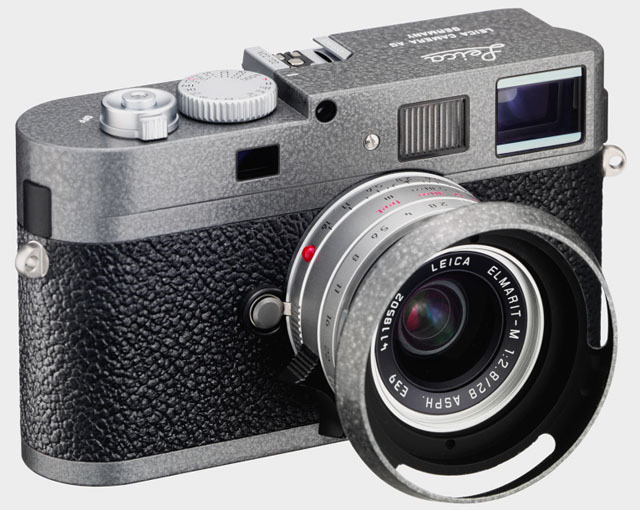 One must presume that the leather on Leica M9 grey will be changed as well. 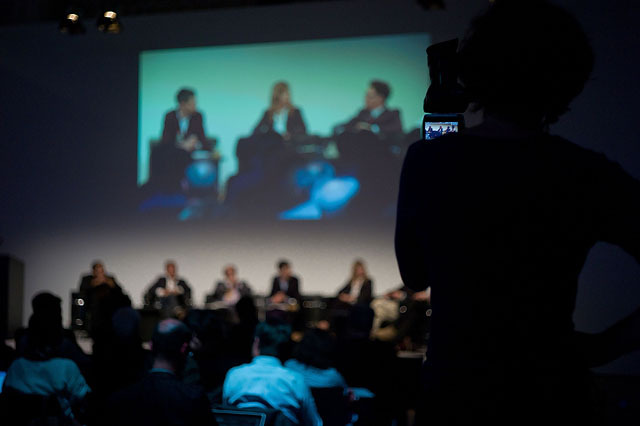 Prices should be around 1,050 € and includes an extended warranty of one year on the camera. 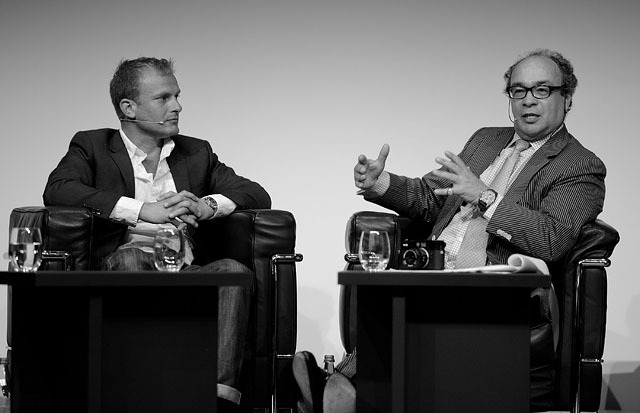 An upgraded Leica M9 grey paint to Leica M9-P silver chrome, performed for Mike Kirkinis in seven days (as express service from Leica Camera AG) in October 2011. New top and bottom, new leather, new back with sapphire glass. Photo: Mike Kirkinis. 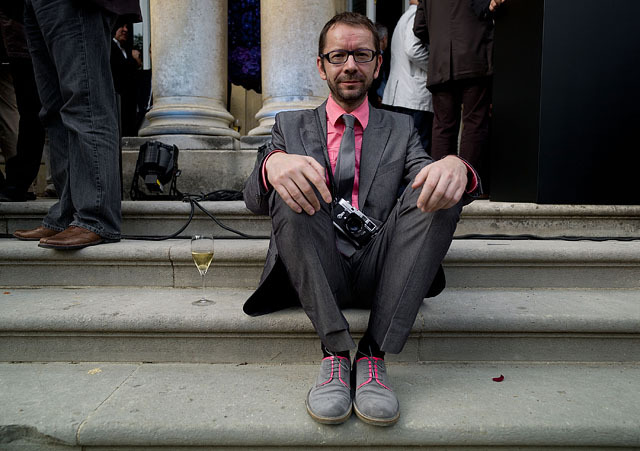 The world press have spotted a man with a Leica M9-P with Leica 21mm Super-Elmar-M ASPH f/3.4. 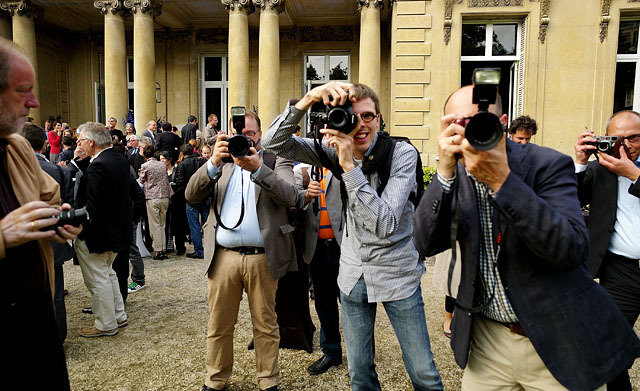 A few of them are from Scandinavia, traveling with Leica Denmark to the event, chief editor of fotosidan.se Magnus Fröderberg and Brian Dixen from ZOOM-ONLINE amongst them. 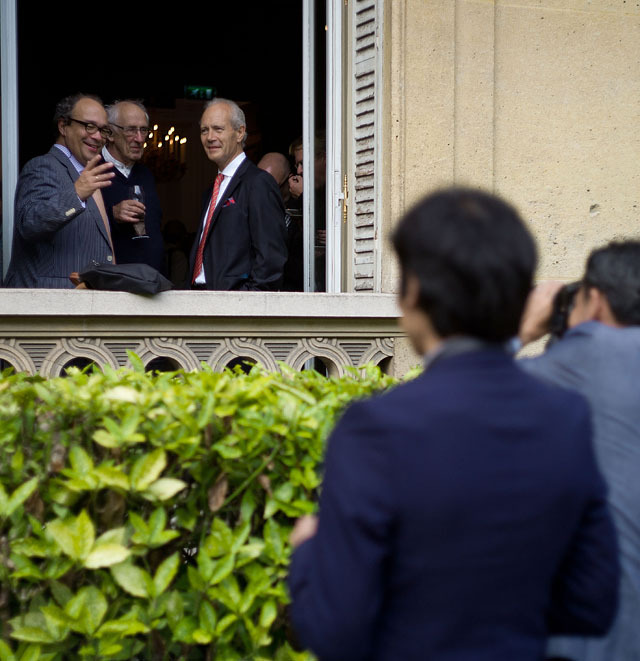 Asian guests have spotted Dr. Andreas Kaufmann in the window. They could also have walked in to him, but the light was better from this side. One of 40 Limited Edition Silver 50mm Noctilux-M ASPH f/0.95 lenses made for the Leica Shop Vienna celebrating their 20th year anniversary. 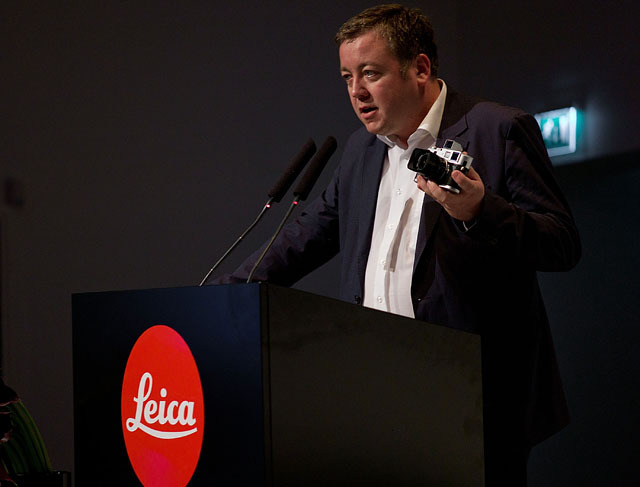 In February 2011, Leica Camera AG, Solms, and Magnum Photos signed an agreement on technological and photographic cooperation. 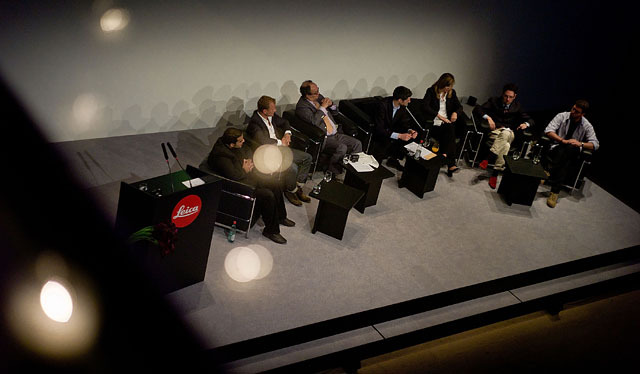 As a consequence of this, a number of independently produced multimedia essays by Magnum photographers were begun in spring and will be presented online at www.leica-camera.com, www.lfi-online.de and www.magnumphotos.com. 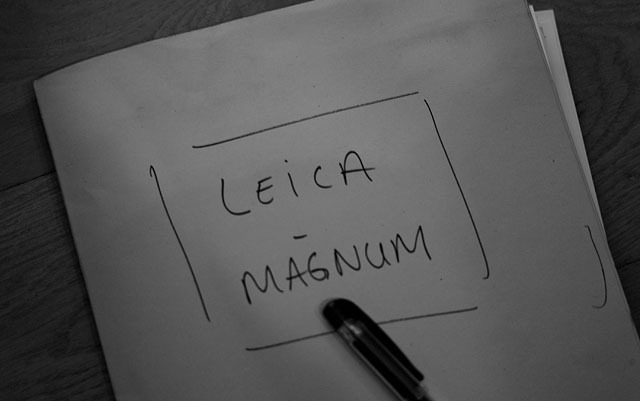 In addition to the realisation of joint projects, this cooperative venture is also an excellent opportunity to learn from the experience of Magnum photographers in their work in the field with the latest Leica equipment. 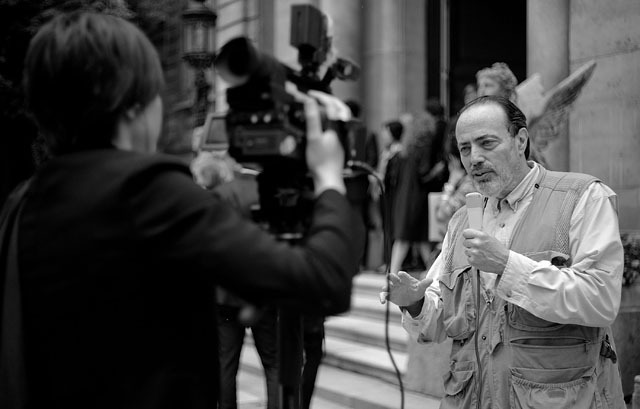 A Decisive Moment in Paris: Leica Camera & Magnum Photos from leica camera on Vimeo. 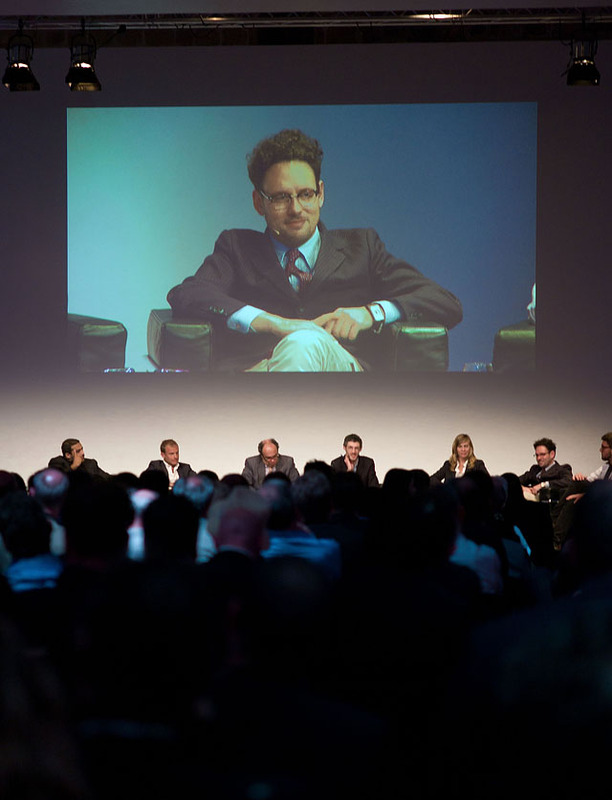 Panel discussion prior to the release. 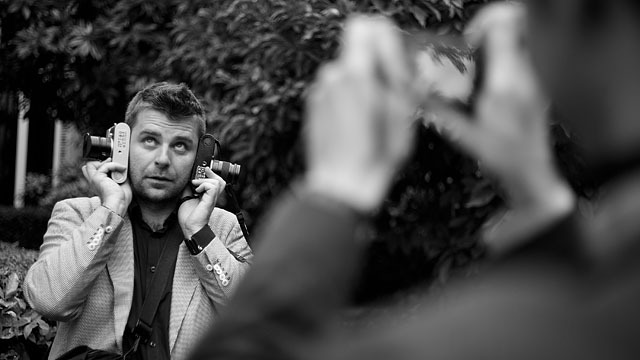 M9-P in Venice: The Making of from leica camera on Vimeo. 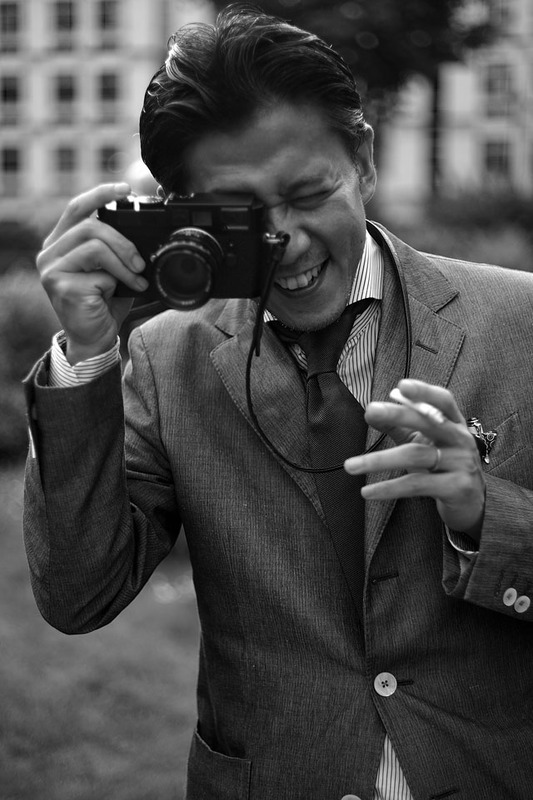 Leica M9-P Hammer Tone Limited Edition 100 pcs. 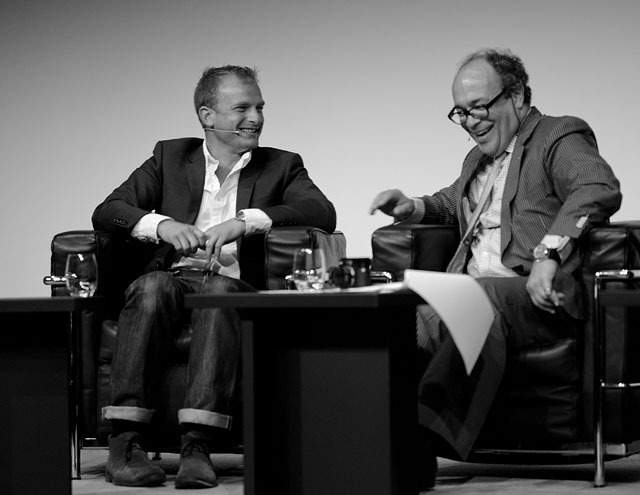 celebrating the Leica Store Tokyo Ginza 5 year anniversary June 2011. The Leica M9-P Hammer Tone with Leica 28mm Elmarit-M ASPH f/2.8 and hammertone lens shade, price is listed to JPY 1,197,000 (ca. 15,000 $) for the set, and sold out in few days. 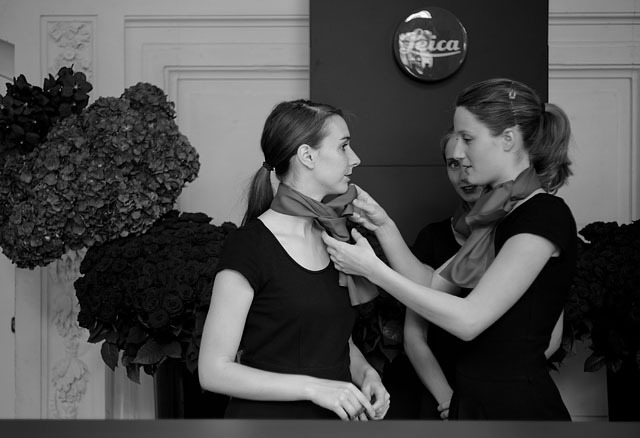 Leica M9-P silver chrome Noctilux Set for the Leica Store Vienna 20th Anniversary on June 16, 2011. 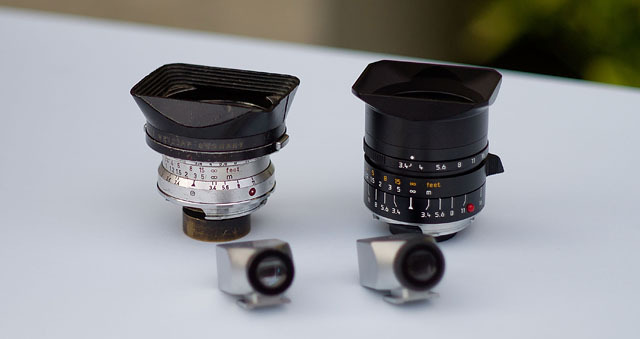 Only 20 cameras made with accompanying Leica Noctilux-M ASPH f/0.95 Silver Chrome Limited Edition (and another 20 Leica M3-P Silver cameras with the same lens. 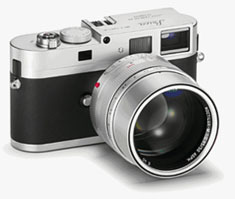 The Leica M9-P Silver Chrome released on June 21, 2011. 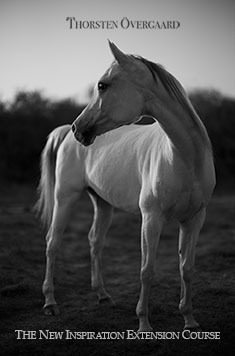 Fitted with the Leica 21mm Super-Elmar-M ASPH f/3.4 lens that was also released. 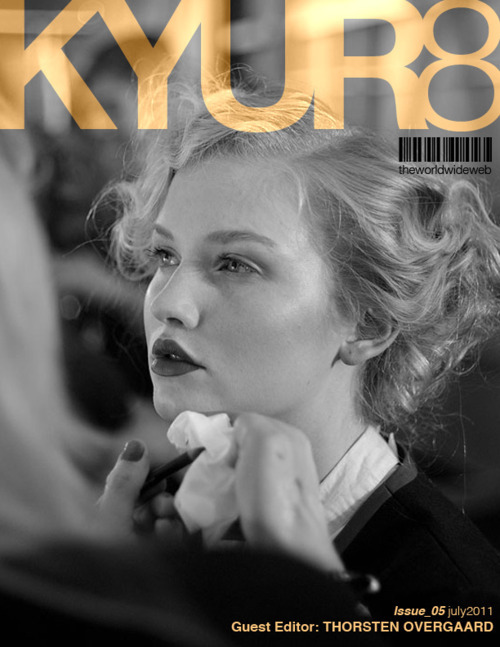 the July 2011 issue of KYUR8.